A tennis racquet is essentially just an extension of your arm. Choosing a tennis racquet greatly depends on your skill level. For instance, a beginner will need to look for an improved racquet to further develop their stroke, while an intermediate player will look for a racquet that will help them win more games by primarily going for a racquet that will play to their strengths. On the other hand, advanced players will have the most freedom when it comes to choosing a racquet as they have the experience and have been playing for years. Advanced players will look for a racquet that perfectly suits their playing style as well as their unique weaknesses and strengths. 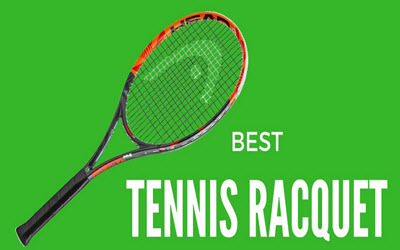 Below you will find the best tennis racquets for 2018 which are categorised for beginners, intermediates, and advanced tennis players. Babolat Drive 115 – This is a terrific option for beginners as it offers a larger head size, giving a bigger sweet spot, which makes it more forgiving when ground strokes are taken. Power and spin comes easily, and it makes it easier when volleying. Wilson Ultra 108 – This is the perfect choice for club and recreational players who want the most out of their tennis session. Plenty of power and easy manoeuvrability, combined with a bigger sweet spot, will provide a phenomenal experience. Wilson Hope Lite – This is a perfect racquet for beginners due to its lightweight and over-sized head. It plays quite smoothly and is extremely forgiving when you don’t hit the ball 100% thanks to the bigger sweet spot. Babolat Drive Lite – This is a very user-friendly racquet which provides loads of speed along with easy acceleration. It is ideal for intermediate players, but beginners will also find it quite appealing. The Cortex system together with the Woofer technology will minimise vibrations and offer a lively and smooth feel. Wilson Burn 100S – This racquet offers fantastic comfort from the baseline. It accelerates quite smoothly and is fairly powerful. Those with two-handed backhands will greatly appreciate the shaft, featuring increased feel and leverage. Head Graphene Touch Instinct S – This racquet absorbs shock extremely well along with reduced vibration due to the Graphene material. It also offers a huge sweet spot and loads of power and manoeuvring. Wilson Blade 98 Countervail – This racquet offers a low, dampened vibration feel along with loads of spin and power, making it one of the best racquets for advanced players that want to dominate directly from the serve. Babolat Pure Drive Wimbledon Edition – This is the perfect choice for intermediate and advanced tennis players. It provides fantastic control and power, which is vital for any baseline player. It’s also highly recommended as its one of the most user-friendly racquets currently available. Wilson Pro Staff RF97 – This racquet provides a classic feel due to its thin leather grip and includes a braided graphite layout along with a light head balance. There’s a reason this racquet is used by Roger Federer as its one of the best on the market.